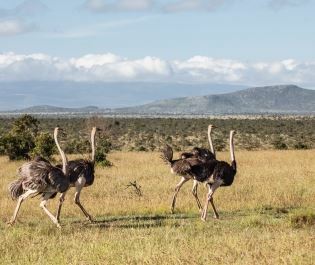 With expansive, sparkling water spread out against a picture-perfect backdrop of never-ending rolling plains, Lake Nakuru is a destination that takes adventurous travellers off the beaten track to a world filled with rare rhino and stealthy predators. One of our favourite places to see rhino. Rhinos are the remarkable highlight and there aren't many places in Africa where we've seen both black and white species on the same game drive. Their bashful beauty can be admired for hours, whether you're deep in the woodland or eating a picnic overlooking the plains. Keep exploring and guides point out leopards hiding in the trees, their steely eyes luminescent beneath the canopy. 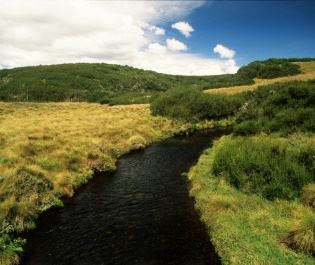 Lake Nakuru is relatively small and doesn't imbue the impressions of wilderness found elsewhere in Kenya. 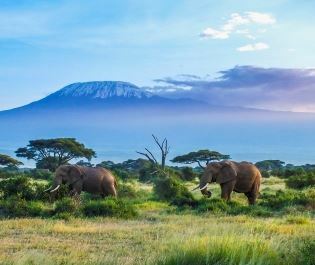 It had been falling off many safari itineraries, but the growing rhino population is bringing people back. 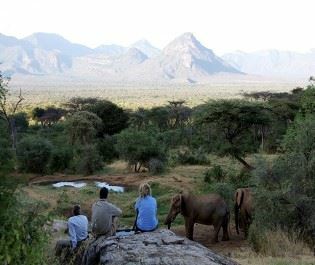 As are some opulent lodges that are located in their own private conservancies. Sometimes safari is about the immersion in the wild; in Nakuru it's all about soaking up the luxury and savouring the extra touches. 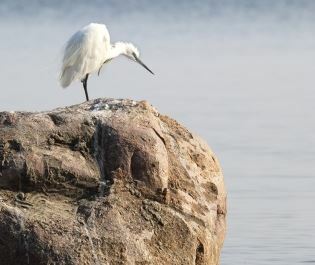 Set up in 1960 to protect the birdlife in the plains surrounding the lake, this beautiful area is brimming with 450 species of colourful birds, with many vibrant wings fluttering around the lodges. 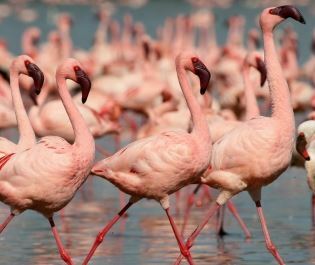 Although once famous for its huge populations of flamingo, sadly the number has started to dwindle, with the higher levels of water changing the alkalinity of the lake and reducing the algae on which these pink beauties feed. 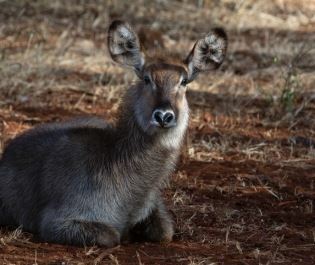 However, there are a number of other magnificent animals to spot during your stay. 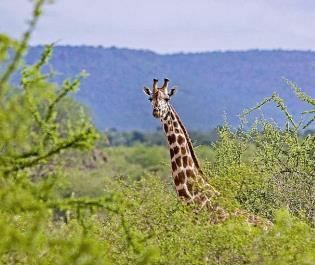 Alongside the white and black rhino, you’ll find majestic lion and leopard slinking along the plains, as well as the endangered Rothchild’s giraffe and a few pythons disconcertingly dangling from the trees. 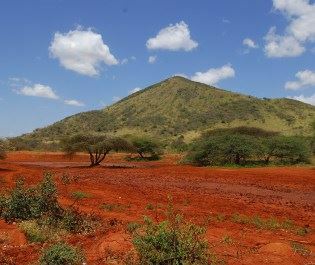 When should you go to Lake Nakuru? 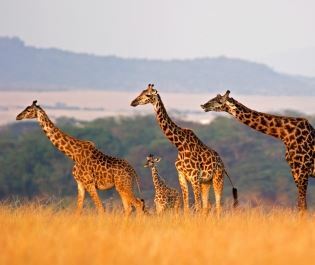 Nakuru's relatively small size is advantageous and you can see the best of the park in a day. A one-night two-day stay gives better opportunities to see the leopards. As with most safari destinations, the Nakuru experience is dictated by rain. 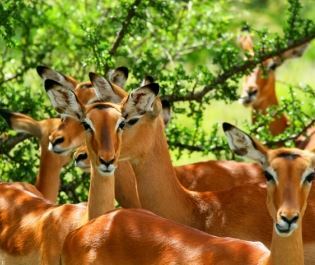 December to February is peak for both game viewing and seeing the beautiful birdlife, whilst we'd be cautious about visiting in April and May, when the wildlife is widely scattered. 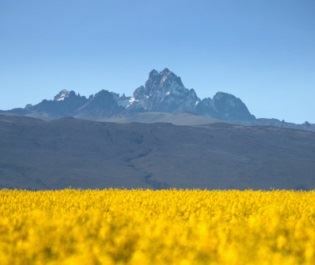 We love how easy Nakuru is to incorporate into an itinerary. 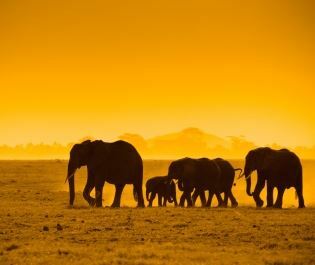 Its location in the centre of Kenya allows you to move on to half a dozen other safari destinations that are close by, ideal for those hoping to tick white and black rhino off their list. 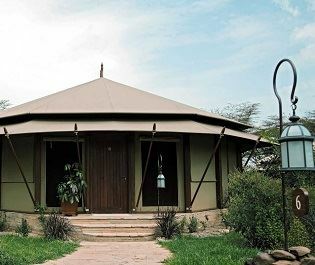 Contemporary tented camp with fabulous views over a lake that’s packed with birdlife; a good base for safari in a private conservancy and Lake Nakuru. 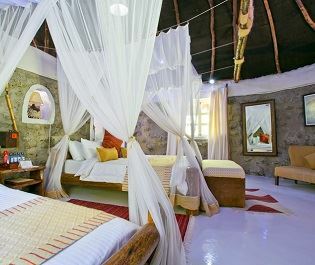 With individually decorated thatched cottages and beautiful mountain backdrops, this luxury lodge oozes African charm. We love the jam-packed days here.